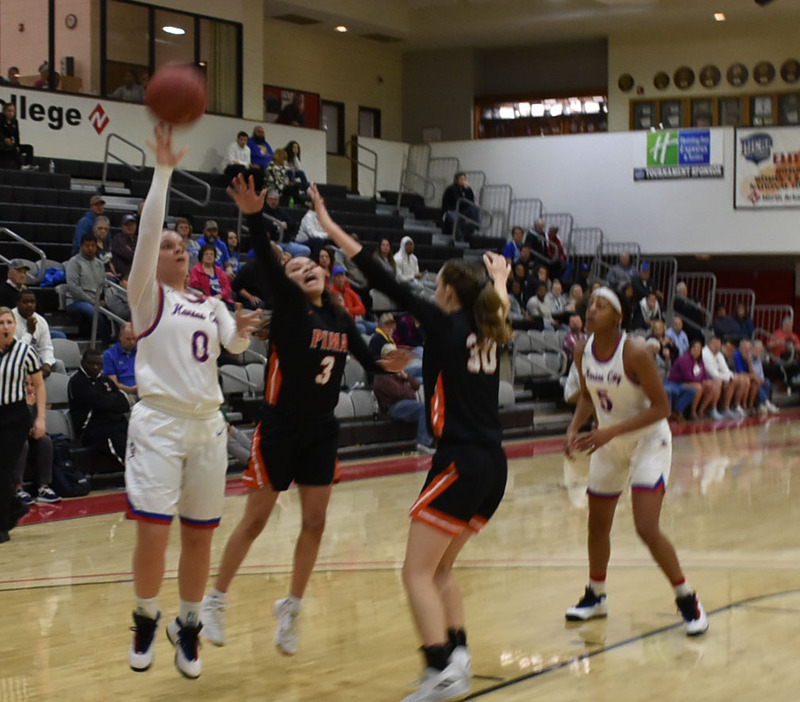 KCKCC rolls into women’s national semifinals, 82-68 – Welcome to Wyandotte Daily! 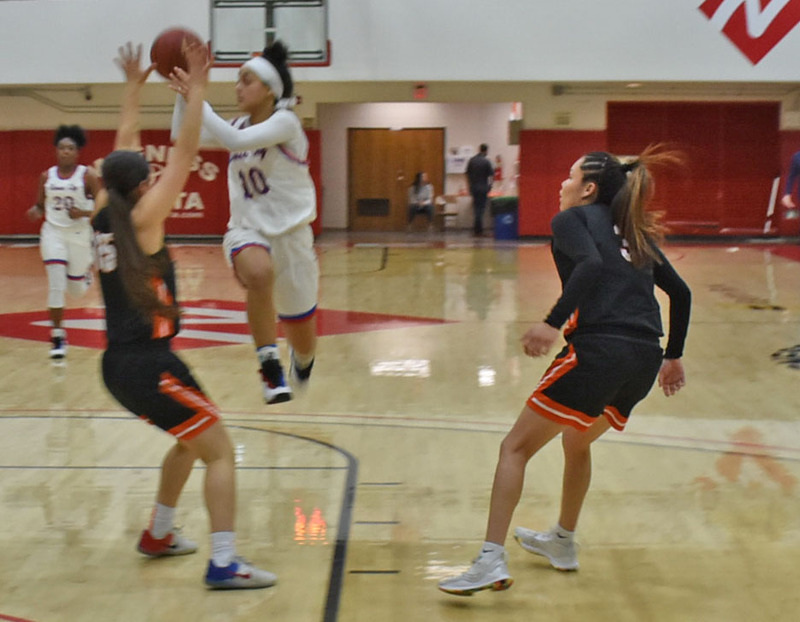 Kansas City Kansas Community College is two wins away from its second NJCAA DII women’s national championship in four years. Spurred on by a 23-7 second quarter, the No. 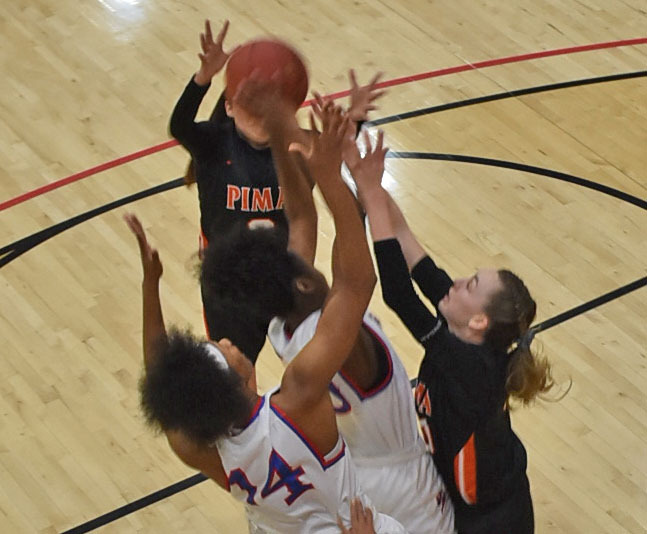 3 Blue Devils (30-4) defeated Pima (Arizona) 82-68 Wednesday to advance to the tournament semifinals at 6 p.m. Friday against Cape Fear Community College in the tournament held at Harrison, Arkansas. Located in Wilmington, North Carolina, Cape Fear (27-4) set a tournament record in a 116-105 win over North Iowa Area Wednesday. 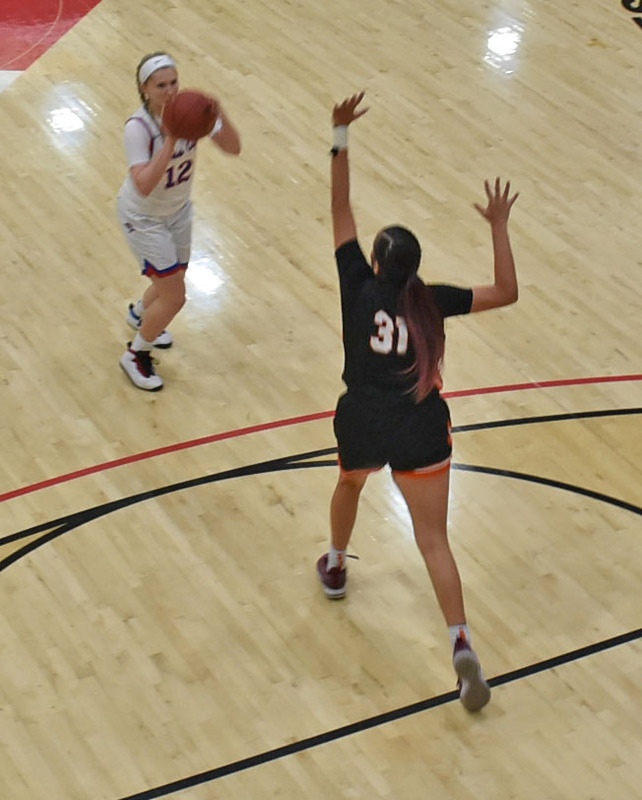 For KCKCC, guards Camryn Swanson and Brodi Byrd each had 15 points as they combined for eight of KCKCC’s 10 3-point field goals. Kisi Young and Nija Collier added double-doubles, Young with 11 points and 12 rebounds; Collier with 10 points and 11 rebounds. Sophomore Caitlyn Stewart directed KCKCC’s fast-breaking offense with eight assists, seven points and four rebounds. Tied 13-13 after one quarter, the Blue Devils limited Pima to just three field goals in 14 attempts, outscoring the Aztecs 23-7 to lead 36-20 at halftime. KCKCC opened the second half with a 14-6 burst for its biggest lead at 50-24. Fired by a 32-point performance by Jaculynn Nakai, the closest the Aztecs could get was 10 points in the closing minutes. KCKCC dominated the rebounding 44-28 including 16 off the offensive boards. The Blue Devils were 28 of 68 from the field for 41.2 percent and 10 of 38 from 3-point (.263). Pima, meanwhile, was limited to 38.1 percent from the field (24-63) and 5 of 20 from 3-point. Each team had 18 turnovers. Nine Blue Devils played and all nine scored. Lillie Moore added seven points, Lexy Watts six, Lenaejha Evans five and Caroline Hoppock four.